We all love a hearty meal of comfort food every now and then. Sometimes it’s a piece of Granny’s fried chicken or a bowl of hearty beans. It’s a feeling and flavor that brings many of us home to a more comforting and stable time, something that brings us warmth and familiarity. 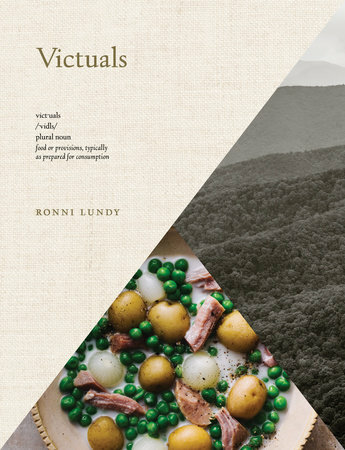 “Victuals” is a regional cookbook that concentrates on the people and foods of the Southern Appalachian mountains. It is truly a journey that one woman; Ronni Lundy, the author who was born in Corbin, a small town in Eastern Kentucky took to write this book. As a child her family moves to the city for work but visits “home” when they can. “Home” is where she cooks with relatives and enjoys the same traditions and recipes that her parents did. Ms. Lundy, travels over 4000 miles criss-crossing several states to find and collect recipes in the region. She came back with beautiful vibrant stories from the new generation of locals. Their passion to bring back the same types of foods that their parents and grandparents before them was evident in each chapter. This type of revitalization is happening all through America as the search for the old foods and ways are beginning to become more main stream again. She has written nine previous books, is a founder of Southern Foodways Alliance and the Appalachian food summit. She is an accomplished woman. "Victuals" is divided into eight chapters, the first titled roots and seeds. In this section you are taken through a small tidbit of history that helps explain how certain foods were introduced to the area. Here you find a recipe for roasted chicken and dumplings. Using meager ingredients they created the most delicious and soulful foods. For example, an old rooster was simmered slowly all day which created tender meat and an amazing rich broth. From this book I prepared the buttermilk cucumber salad which is from the Beans chapter. We were still able to purchase the most wonderful cucumbers from the farmer’s market. They were not too big, but still sweet and crisp. This was easy to make and such a simple but flavorful dish. The buttermilk added a delicious tanginess and the dill was ideal in here. I will be making this again and again, next time using fresh basil. 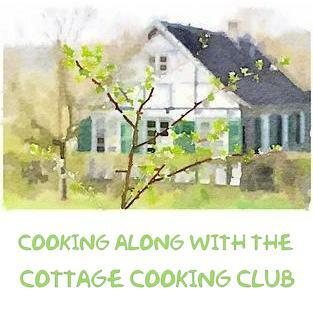 Beautiful photography, local stories and down home recipes make this cookbook a delightful read. I would definitely recommend “Victuals” to anyone that enjoys honest real home cooked food. Perfect cookbook as we near the seasons of comfort food! Your cucumber salad sounds wonderful. Thanks Liz, I enjoyed the stories that went along with the recipes as well. It sounds like a very interesting book. It really is Angie, the author is a very inspiring woman. Thanks Dena, it really is. What a lovely name, sounds like a fab book. I love cooking with the seasons and your cucumber salad sounds divine. I love when vegetables are so delicious on their own they do not need much prep. Me too Bobbi, it's a wonderful way to enjoy many veggies. Dear Cheri, this sounds like another wonderful book - and the cucucumber salad must have been delicious! It was Andrea, will be making this salad again. Thanks for stopping by. The author, Ronni Lundy sounds like an amazing woman. Thanks for stopping by Peggy. Sounds like a really good book with some wonderful recipes. Love the sound of that simple and delicous cucumber salad. Thanks Suzanne, this book is really special. Thanks Anu it was delicious! Thanks David, it is a great book. I've always wanted to hike in that area. Interesting book. The salad you prepared sounds delicious. You write the best reviews Cheri! I love the idea behind this cookbook and bet it is a joy to read and eat! Thanks Tricia, it is a wonderful cookbook. 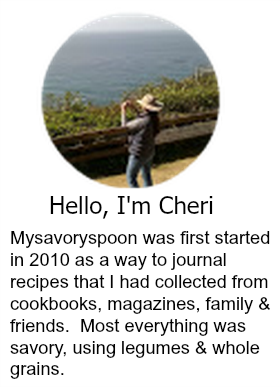 I love your reviews Cheri, this is such an interesting sounding cookbook! What a fun book! I hadn't heard of this, so thanks for the intro. Sounds like a fun read -- love this sort of food. Thanks! Thanks John, it is a great book, perfect timing for comfort food. i just heard this lady interviewed on a podcast and thought to myself that i needed to get this book! i grew up in an area near the appalachians and have many traditions near and dear to my heart. this looks like a tasty recipe selection! Hi Grace, then you would love the stories in this cookbook, love the way she writes. I remember Granny in the Beverly Hillbillies using the term "vittles" and having no idea what she was talking about. I also remember finding out it was spelled "victuals" and being very surprised. Looks like a fun regional romp, Cheri! Thanks for the intro! I know I was very surprised about the spelling, would love to spend some time there to hike and enjoy some great food, thanks David! This sounds a really nice cookbook and the cucumber salad with buttermilk looks fantastic. This sounds like a great cookbook. This part of the country has always interested me, and the food aspect would of course have me turning pages!